At the beginning of the 21st century, the European Union is an economic super-power, the world’s largest economic bloc, the biggest trader, and the biggest market in the industrialized world. 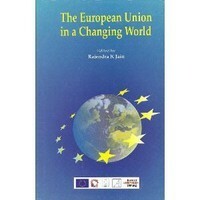 This multi-disciplinary volume by Indian and European subject-area experts provides a comprehensive analysis of the role of the European Union as an influential actor in the world against the background of globalisation, regionalism, and the challenges confronting European integration today. The book examines the European Union’s economic and political relations with the United States and Russia as well as Africa and Latin America. It discusses the issues and implications of eastward enlargement of the European Union. The contributors assess EU’s relations with Asia, especially China and India and critically evaluate the ASEM process. The study looks at the European Union’s role as a multilateral negotiator in the World Trading Organisation and highlights the convergence and divergence in Indian and EU approaches. 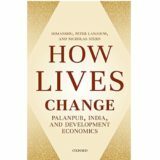 It addresses the implications of Euro on the world economy. This volume will be of interest to policy makers as also those engaged in the fields of economics, international relations and area studies.